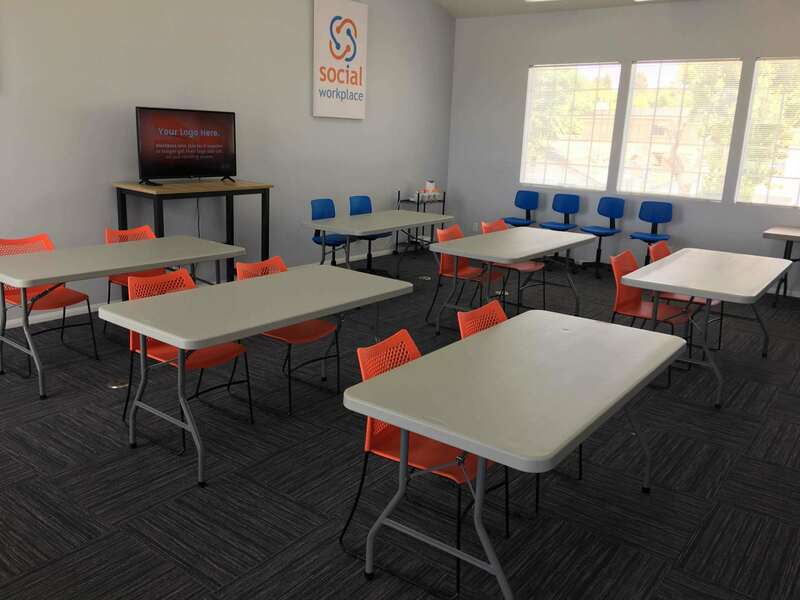 Our event space can accommodate 12 to 50 people based on format. Event space is available at hourly and day rates and comes equipped with all you need for presentations, talks and learning. Evening and weekend rates available. ***Contact us for pricing and setup. 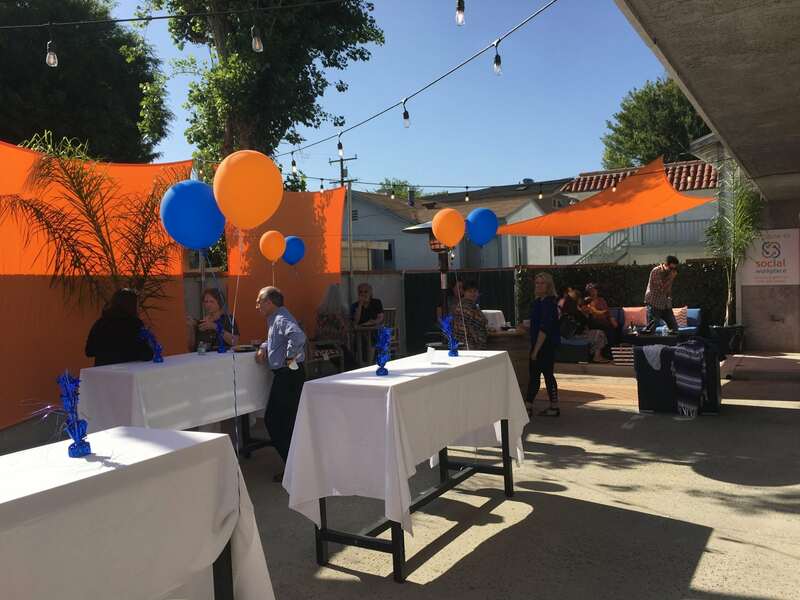 Our outdoor event space can be used for larger client parties and events with food stations and round-table seating. Available Monday thru Thursday evenings. Contact us for pricing.